THE world of online casinos can be intimidating for first-time gamblers, with literally thousands of games to play ranging from slots right through to a wide-variety of table games such as Roulette and Blackjack. Just like their land-based counterparts, many of these games can seem simple in theory, with rules which are relatively easy to understand. However, winning on these games can be far more difficult – with some requiring a level of skill, understanding and strategic thinking from the player. But, if you can master the game you will minimise the house edge and potentially walk away a winner. Below we have outlined some of the toughest games to master online, including some tips on how to perfect your skills and maximise your chances of winning. We know what you are thinking – Blackjack is one of the simplest casino games in the world. The game is very basic – players and the dealer receive two cards each – the player’s cards are dealt face up, while the dealer has one face up and one face down (known as the hole card). The objective of the game is for the player then to begin drawing cards to get a total closer than 21, without going over, than the dealer’s cards. In most versions of blackjack, if you are dealt two cards of the same value you are given the option to split them into two new hands. You are then dealt two new cards, one for each hand, while your bet is also doubled. The player then plays each hand normally, therefore giving them two opportunities to beat the dealer. After being dealt your first two cards, players have the option of ‘doubling down’ which is when you double your initial bet but only receive one additional card. Here are some quick tips for playing blackjack online which will hopefully help you on your winning way – but remember, like all casino games, an element of luck is still vital. Do not split two 10s. This would make your hand worth 20 and, although the goal is to get to 21, there is only one situation in which the dealer can beat you and that is if they have a 21. Do not split two 5s, instead we think the best alternative is to double down. If you split the hand and received two 10s you are sitting on 15, however by doubling down you would be sitting on a neat 20. Always split two 8s. Two 8s are a value of 16 which is one of the worst hands in blackjack. By splitting the hands, you increase your chances of getting at least one winning hand. Instances in which you should consider doubling down are – if you get a count of 11 and the dealer has a 10 or an Ace face-up, if you have a count of 10 and the dealer has a 9 or less face-up, if you get a count of nine and the dealer’s face-up card is between 2 and 8. When your hand totals 17 or above, stand. If the dealer’s card facing-up is 6 or below and your hand totals more than 13, stand. Only split 2s and 3s if the dealers card is between a 4 and a 7. If allowed, always split Aces. Roulette is one of the most popular table games at both land-based and online casinos, offering players an exciting atmosphere since it was created back in the 17th century. Part of its popularity stems from its rules being simple, however roulette offers a level of depth for serious players. First of all, let us explain how the game works. Roulette is a French term meaning little wheel and that is exactly what this game involves – with numbers 0-36 (and 00 if you are playing American Roulette). A small white ball is then set in motion which spins around the numbers on this wheel, with bets placed on the table over positions on a table which correlate with the slots the ball can potentially land on. The slots on the table include all the numbers as well as some other options such as first 12, second 12, third 12, 1-18, 19-36, even, odd, black and red. Sounds easy enough, right? Being a game of chance, there is no exact science to playing roulette, however smart players know how bet to minimise their risk, therefore maximising their chances of winning. It all comes down to knowing about the types of bets and the associated odds. In roulette you have “inside bets” where you anticipate the number or type of pocket where the white ball is going to land. For example, betting “straight up” on one number pays 35 to 1, whilst corner betting on four numbers pays 8 to 1. There are also what is known as “outside bets” which do not involve specific numbers include colour betting (black or red), odd or even betting, or dozen betting. Importantly, it is essential to realise that every game of roulette comes with a house edge. No matter what type of roulette you are playing, the odds for landing a bet on a single number would only be true if there were 36 numbers on the wheel – however the addition of 0 and 00 – gives the casino an advantage over the player. Baccarat is a card game with only three possible outcomes – a player win, banker win or a tie. Two hands are dealt, to the player and the banker, with the higher hand winning. 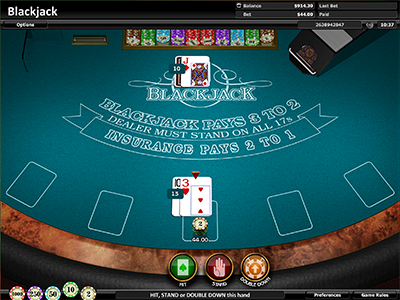 Players are able to bet on either hand. To start with, two cards are dealt to each hand, with a series of complex rules determining whether a third card is dealt to either hand. As a rule, the best play is betting on the banker which has a house edge of 1.06 per cent in comparison to the player which has a house edge of 1.24 per cent. You can also bet that there will be a tie between the banker and player’s hands, however that carrier a huge house edge of 14.4 per cent. There are a wide variety of poker games available in land-based and online casinos, however for the purposes of this article we have stuck to your basic poker game. The game is played using a standard 52-card deck of cards, sometimes with the addition of jokers. The objective of the game is to win money by capturing the pot which contains bets made by other players throughout the game. A player wagers a bet hoping he has the best hand, or aims to give the impression he holds a strong hand, therefore convincing his opponents to fold, or abandon, their hands. In poker, knowing when to release a hand which you don’t think is good enough to win is just as important as knowing when to bet. It sounds simple in theory; however, poker can be a tricky game to master – but we have some handy pointers to help get you started playing online poker. Increase your bankroll slowly – many online players go with the boom or bust strategy, in other words they will constantly go all-in in the hopes or scaring off other players who throw away their cards thinking their opponents hold a monster hand. Instead, focus on growing your bankroll slowly by only playing mathematically strong hands. While this can take a longer time to achieve the wins you are hoping for, it pays off more often than the alternative strategy. Limit your potential losses by sticking to pot limit games – while you may not win huge prize pools, you can make a steady income by sticking to this slow grind style of play. Don’t be afraid of fine tuning whatever strategy you settle with – by tweaking your regular pattern you disrupt the rhythm other players will be expecting from you. These players will be looking for tells in your game and if they find them you will be at their mercy – so switch it up, even if its only slightly. Check out multiple sites in order to claim new player deposit bonuses and maximise your bankroll. One of the most exhilarating casino games to play, however it also takes a while to get your head around some of the intricate rules of the game. Craps is a dice game played on a table which displays all the types of bets you can place – of which there are about 40. – If a total of 7 or 11 is rolled, the pass line bet wins, but if a 2, 3 or 12 is rolled, the pass bet line looses. – When any other total is rolled that number then becomes the point. When a point is established, the shooter rolls the dice until that point is rolled again or until a seven is rolled. If the point is rolled before a seven, the pass line bets win, however if the seven comes up first, the pass line bets lose. Winning both the pass or don’t pass bets pays out at even money odds. When the pass line bets wins, the don’t pass line bets lose. The only exception is when a 12 is rolled on the come out roll (the first roll which starts the round of betting) in which pass line bets lose, while don’t pass line bets are pushed (which means they neither won nor lost). Additionally, when a point is thrown, you can also take or lay odds. If you take odds, you are betting that the point will be rolled before the seven, if you lay odds, you are betting that a seven will be rolled before the point. You can also bet what is known as come and don’t come which are like the pass line and don’t pass line bets – but occur after the come out roll. A come bet wins if a 7 or 11 is rolled in the first round and loses if a 2, 3 or 12 is rolled. A don’t come bet wins if a 2 or a 3 is rolled in the first round, loses if a 7 or 11 is rolled and is pushed if a 12 is rolled. If the shooter rolls a 4,5,6,7,8,9 or 10, the come or don’t come wager now has a point and – like with the pass or don’t pass bets – the player can then take odds, for a come wager, or lay odds for a don’t come wager. At this point, the player’s chops are moved in the box of the number which is rolled by the shooter, or just above the box for don’t come points. The come bet and any odds taken win if the shooter rolls the new come-bet point prior to a seven and loses if a seven is rolled first. The don’t come bet and any odds laid win if the seven is rolled first. Winning come and winning don’t come wagers have the same odds of pass and don’t pass bets, which is even money for the original bet and the true odds for the odds taken or laid. Stick to safer bets – in other words the ones which offer the smallest house edge. While the house still has a mathematical advantage, it is as low as possible. Take relatively safe pass bets – while there are many possibilities on the table, the simplest bet is the pass bet and it is also one of the safest, with a house edge of 1.41 per cent. Maximise your winnings with odds bets. Avoid making risky bets with major house edges – in particular put bets and proposition bets. Think you’re ready to have a crack at the games mentioned above? If so then it is time to create an account with one of our recommended online casinos, all of which offer the highest standards of security to protect your personal and banking details. Additionally, all of our recommended online casinos also offer lucrative welcome bonuses, giving you stacks of extra cash to play with.